Gemini's symbol is the Twins, and it's a sign that doubles down on sampling everything in life. Sun into astrological sign Gemini takes us into the light (allergies) season of Spring when all of nature is busy pollinating. This follows the entrenchment of Taurus and Gemini is like the dandelion that's blown with seeds dispersed to the four winds. It's a socially lively sign, and one for new fascinations. Gemini loves variety, change and has a curious, agile mind. It's a busting apart sign, to see anew, and find what's funny in any situation. Gemini in Love is like a one man or one woman show. Gemini is a super fun sign that always seems to know what's happening around town. The light way of Gemini makes them easy to be around, and the ones who bring comic relief. It's hard to pin down a Gemini, and those who try, will not last long in their flight path. They aren't consistent in their behavior or ideas, and that comes across to some as unstable. But it's part of their ever-shifting nature, to be on the move in every way. The element is Air (bright mind). Quality is Mutable (dispersing, collecting). Read more about the Gemini-Sagittarius polarity. The phrase is "I think." Body Association: nervous system, arms (clavicle, fingers, hands, shoulders), brain, respiratory system. Colors are kaleidoscopic, sky blue, stripe or spotted, swirls. Birthstone is agate, as well as amethyst and the aventurine. Gemstones are chrysoprase, citrine, moonstone, pearl and white sapphire. Flowers Flowers that attract winged ones, in orange, yellow or blue, or with many colors, like snapdragon, morning glory, wild indigo, daylily, iris, butterfly milkweed. Animals are birds, especially talking parrots, swallows, magpies, mockingbirds, sparrows. Trickster creatures like monkeys, weasels or hyenas. Buzzing insects, grasshoppers, ladybugs, butterflies. Gemini has many sides, making them great company, rarely boring. They're social creatures, and stay current on the most interesting gossip, cultural events, new restaurants, and shows. They're deft communicators and social observers. Many end up in journalism, as bloggers, and in fields where schmoozing is in the job description, like sales, promotion, politics. The first rush of romance for Gemini is a literal whirlwind. They are gifted in repartee, and put others at ease, making them the sort who become fast friends. Many loves begin that way, as friends, and Gemini might have many in their social sphere, to satisfy all their personalities. As long as Gemini isn't bored (the death knell for relationships), they will meet you with a smile, as a friend or more. At the extreme edges, Gemini is duplicitous, unreliable and unable to commit to one thing and do it well. Gemini thrives on collecting bits and pieces and rearranging it all into new forms. They're mischievous and have a childlike side. Moods can be erratic, making it hard to find discipline or a singular focus. A Gemini stuck in a set routine is in its own version of hell. This mutable air sign needs the constantly shifting winds of change. 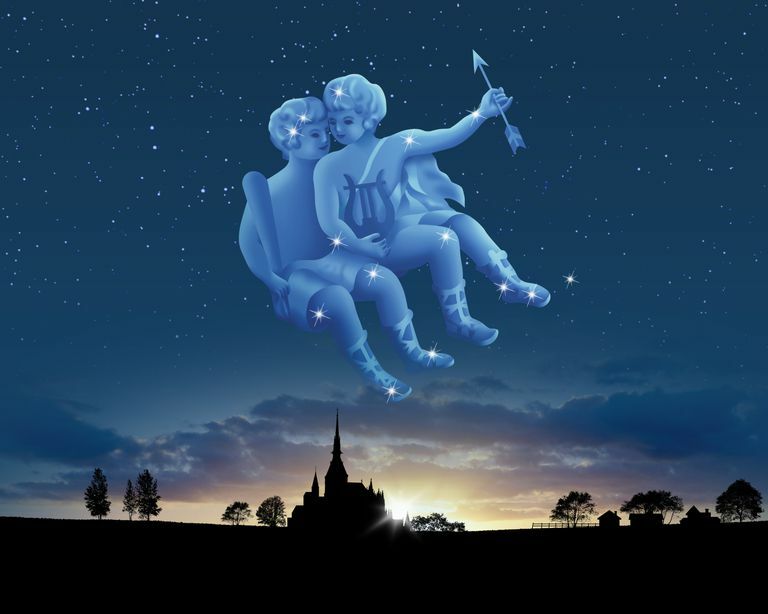 The ideal places for Gemini are where there are lots of coming and going, short assignments, and the freedom to rearrange things and insert their own creative take on what they produce. Gemini loves to have lots of friends and likes the familiarity of the neighborhood (shops, cafes, passersby). *The Dates for Gemini change every year, so check an ephemeris -- or your free birth chart -- if you're on the cusp.